Sometimes it’s nice to change up the ritual. 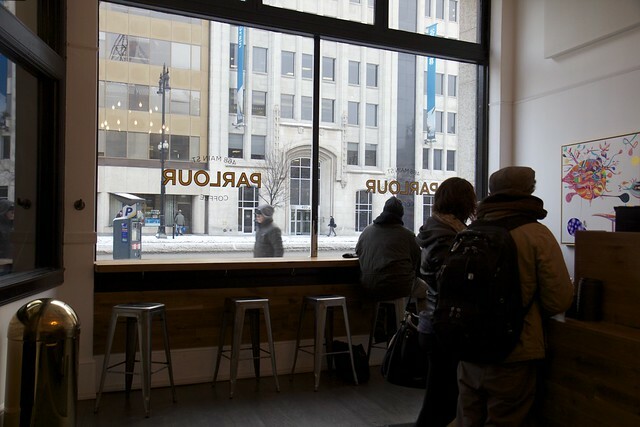 Parlour Coffee was unsually busy Monday morning and because of that we weren’t able to get our usual seat in the far corner in front of the window, which worked out because that meant I was able to get a great shot of the giant window in the front. Oh, and I got to try their hazelnut croissant. YUM! This entry was posted on March 8, 2012 by debbe. It was filed under 365, Food, Friends, Winnipeg and was tagged with croissant, Exchange, Food, hazelnut croissant, latte, monday, parlour, parlour coffee, Winnipeg. I didn’t even realize they had hazelnut! 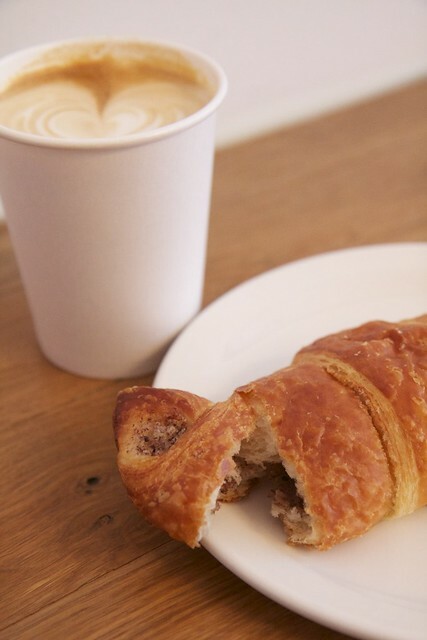 Hmm, next trip I think a slow drip with hazelnut croissant would be perfect.